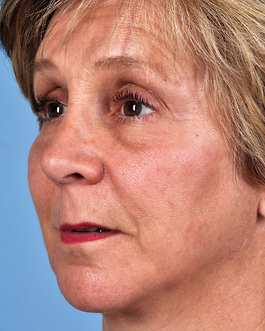 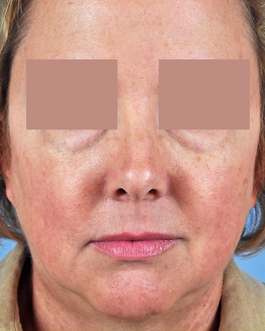 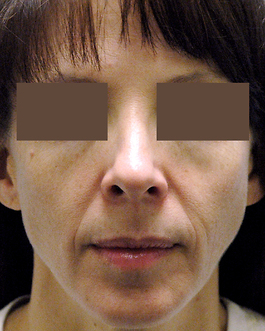 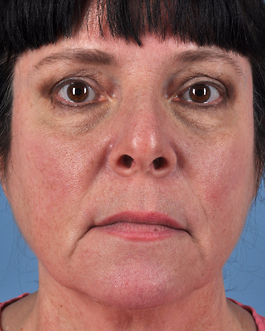 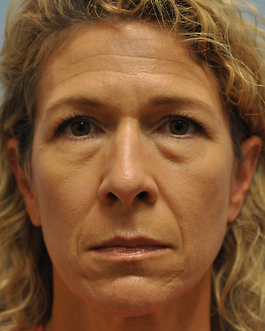 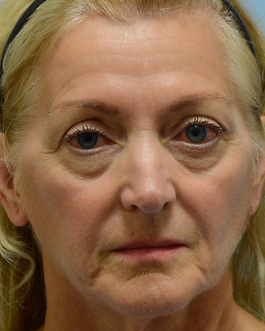 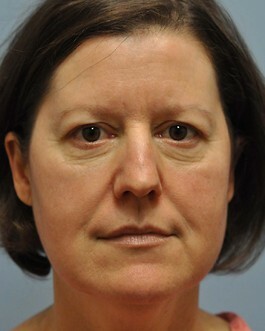 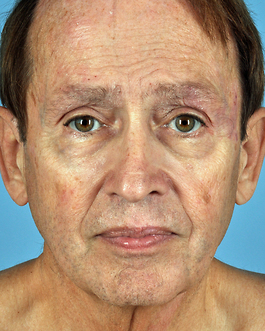 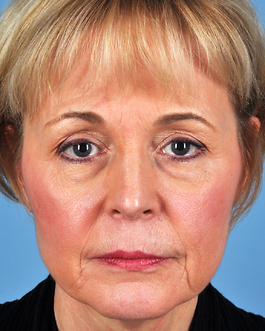 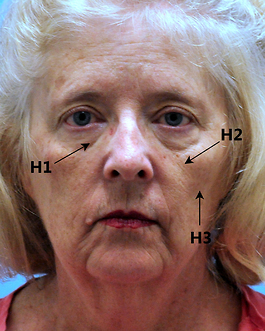 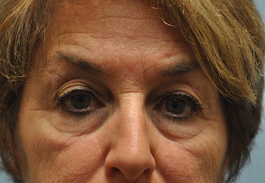 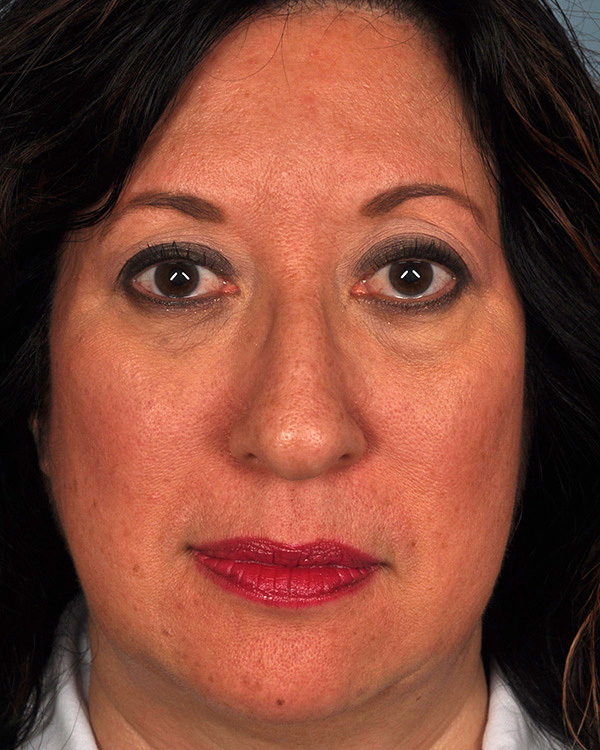 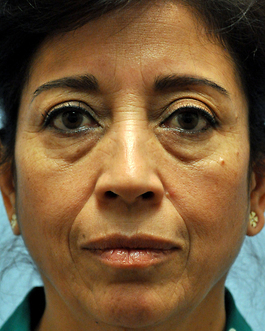 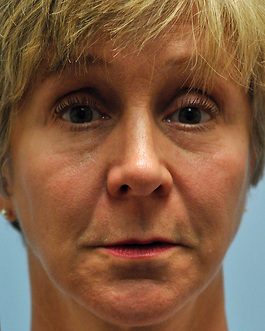 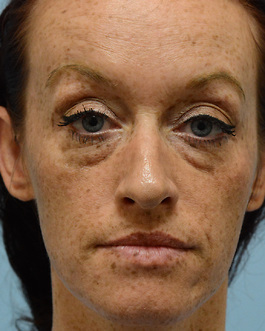 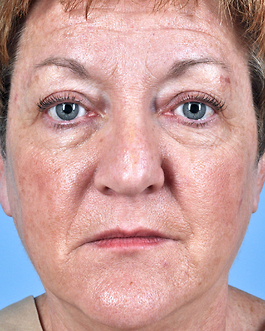 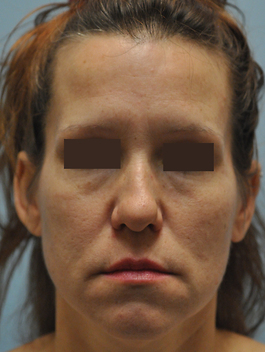 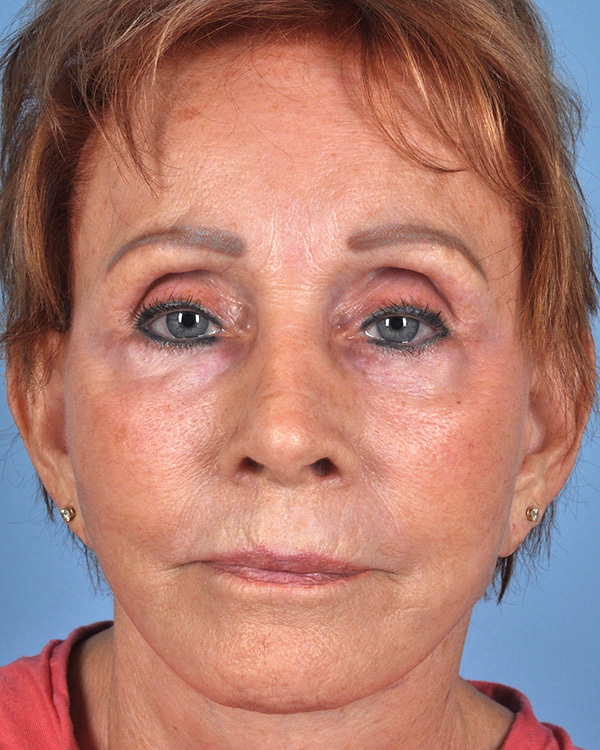 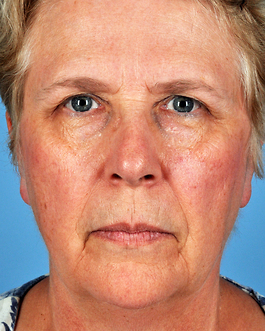 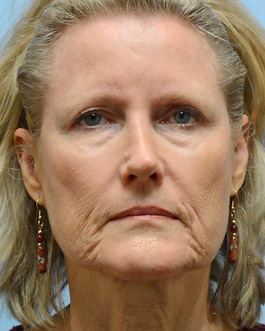 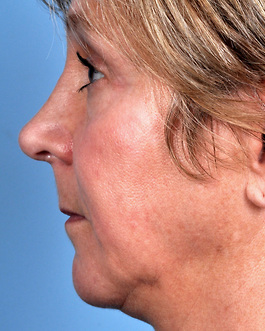 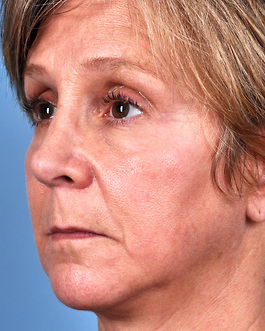 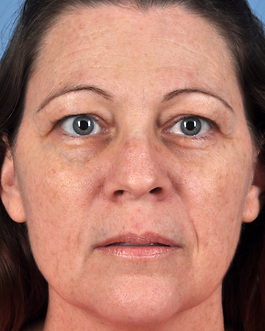 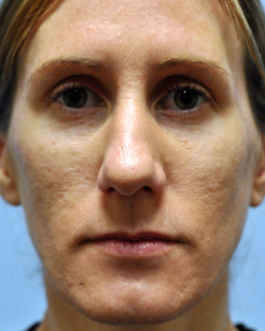 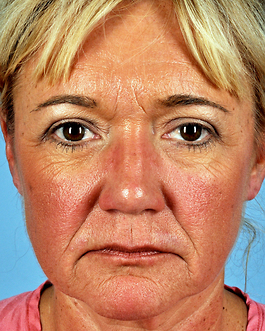 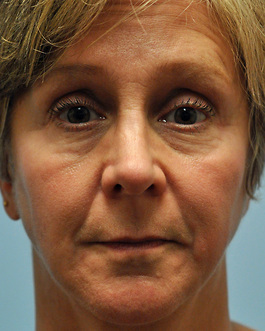 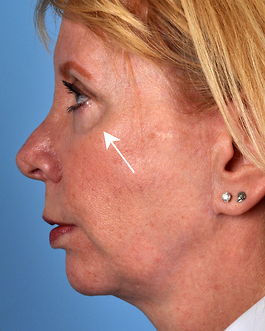 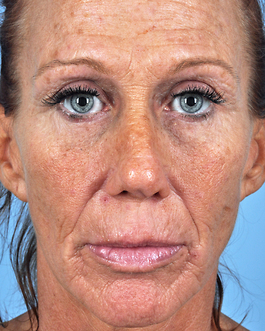 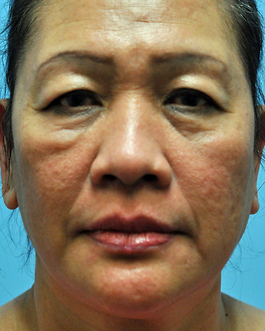 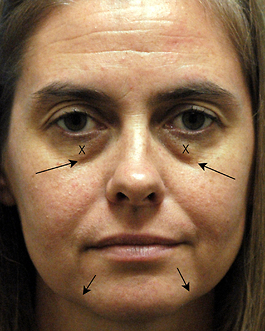 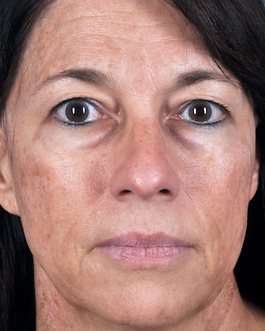 This 56-year-old woman showed a typical pattern of volume loss and hollowing in a number of areas of her face. 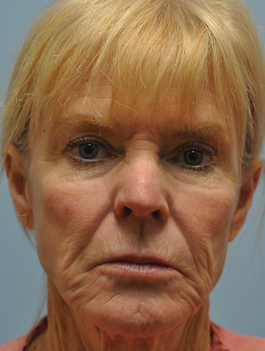 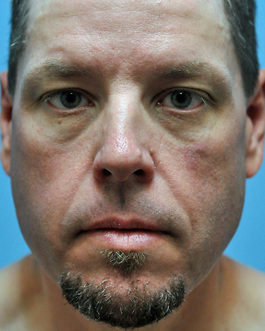 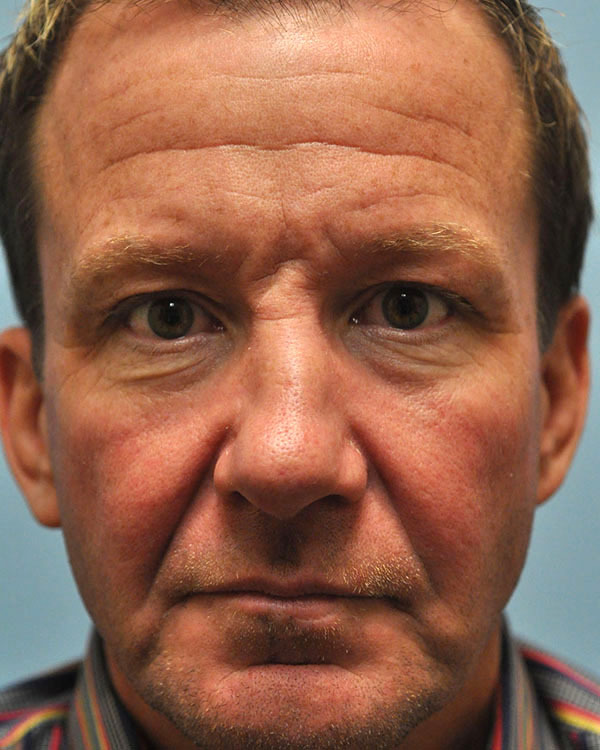 There was a little fullness to the jowl area that liposuction could be used for. 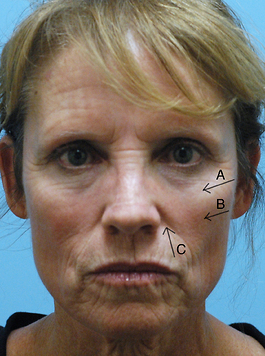 Liposuction to the jowl cannot give a facelift result. 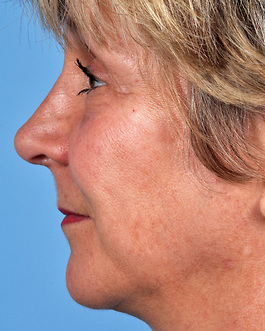 However, along with filling the area in front of the jowl called the ‘pre-jowl’, it can give a nice improvement and sometimes delay the need for a facelift. 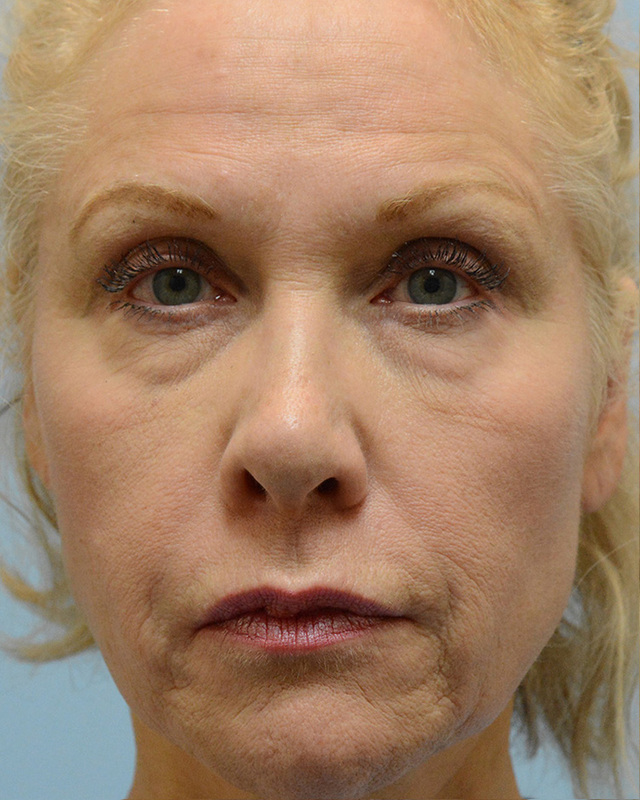 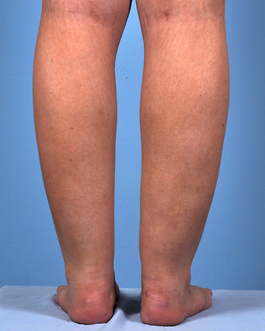 She had fat injections to the orbital rims, nasolabial areas, medial cheeks, and pre–jowl, with liposuction to the jowls. 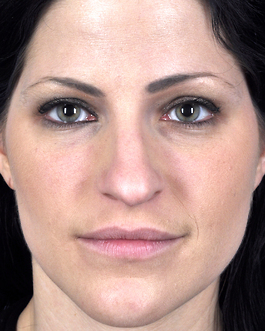 The front view was taken without a flash, allowing you to see shadows on her face. 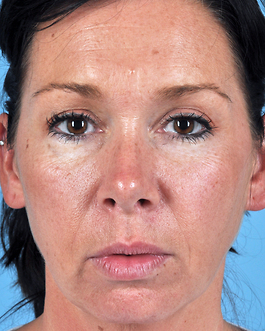 Taking photos this way helps illustrate the change in the 3D contours of her face from her fat injections, better visualizing her results. 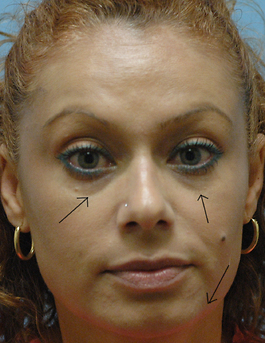 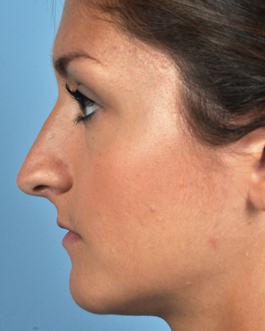 There was also fat injection to the bridge of the nose which is subtle, and only visible in the side view. 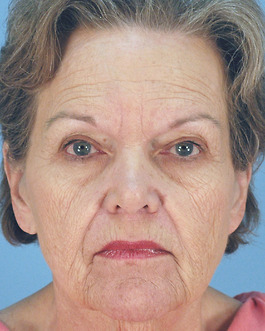 She is very happy with the natural appearance of her rejuvenation.